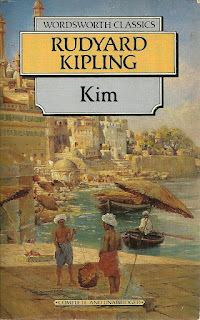 Around half-way through Rudyard Kipling’s Kim, the titular protagonist, an orphan raised on the streets of Lahore by an opium-seller, talks to himself as he contemplates his training to become a member of the Secret Service. As he thinks about his own identity—as a student of St. Xaviers School (a stand-in for La Martiniere), he refers to it as ‘Nucklao’ (a dialectical noun that is in use to this day by Hindi-speakers), but as he completes the thought, reminding himself that he is white, it becomes ‘Lucknow’. 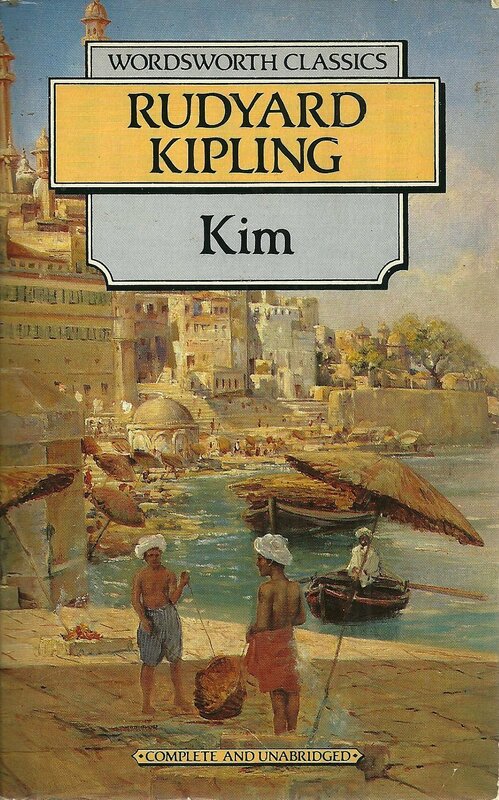 In that subtle interplay of identity and language lies the essence of what makes Kim such a remarkable literary achievement, for throughout the novel, Kipling wrestles with the dilemma of who, precisely, the chameleon-like Kimball O’Hara is. Is he a white boy, unfortunately lost in childhood to the natives, now coming back into the fold of privilege and colonial dominance? Or is he a son of India, a natural fit into all its myriad cultures, raucous and colourful, at once both deeply superstitious and completely practical? 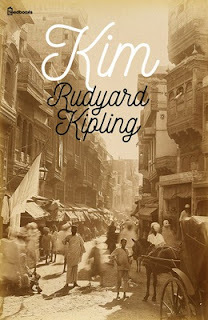 With a masterful and deft use of language, Kipling sharpens this debate in our minds, leading the readers on a delightful journey through the terrain—and heart of India. For you see, while the word ‘Great Indian Novel’ might be bandied about less recklessly than its American counterpart, it is a term that is today applied to two books—Midnight’s Children by Salman Rushdie and A Suitable Boy by Vikram Seth. The novel opens with Kim playing on the streets of Lahore, outside the Museum, with two of his friends, one the son of a wealthy Hindu merchant and the other the son of a Muslim sweet-seller, while the law, in the person of a Sikh Policeman, turns an indulgent eye upon the shenanigans of the boys. The appearance among the milling crowds of a stranger—one that readers immediately recognize from the description as a Buddhist lama, but who is a mystery to the children—breaks up their game, and when Kim appoints himself a helper to this foreigner, turns the course of Kim’s life. The Irish orphan tags along with the lama, who speaks of Buddhist philosophy and a quest for a mythical ‘River of the Arrow’ with an innocence that is at once affecting and profound. As the lama’s chela, Kim begins his first journey in search of the river, travelling by train and then on foot along the Grand Trunk Road. But he is not only a lama’s chela. There is another mission that Kim seeks to fulfil, given to him by his old friend and sort-of-mentor, Mahbub Khan the horse-dealer. Mahbub is the first glimpse we get of the influence that is to contrast the lama’s Buddhist teachings—he is a horse-dealer, but he is also an agent in the Indian Secret Service. As Kim travels with Teshoo lama, the theme of Kim’s dual identity comes to the fore. Intelligent, resourceful, and wise, Kim proves to be an excellent helper to the lama, helping him navigate the confusing panorama of India, and also a very competent messenger for Mahbub. We also get a glimpse of how this dichotomy affects Kim, as he, like the reader, wonders—Who is Kim? The journey in search of the River is interrupted when Kim and the Lama encounter the regiment in which Kim’s father had once served. When a series of events leads to Kim being discovered by the regiment’s two men of God, one Presbytarian, clueless and odious and the other Catholic, also clueless but at least sincere, he finds himself at the mercy of fate, of which he had hitherto thought himself the master. The men of God will not let this child of a white man consort with the ‘beggar’, as they call the lama, and insist upon separating him from the Buddhist monk and sending him to school at Lucknow to educate him. But this is also, obviously, about initiating Kim into a colonial identity, and making him ‘white’. The novel continues to pursue the central theme of identity even as it continues to follow the adventure plot. Kim is pulled at in different directions, as Mahbub, the Lama and Colonel Creighton, head of the Secret Service, all observe and monitor his progress. It is fairly evident though that while the lama does so for love, as does Mahbub in his own way, the white Colonel’s interest is transactional, seeing the boy as a potential asset and nothing more. From school in the colonial safety of Lucknow to the heat and dust of the road, from learning Mathematics and English from his professors at St. Xaviers to carousing with Mahbub Khan’s caravan, from the wondrous games he plays at the shop of Lurgan sahib to learning the story of the Wheel of Life at the lama’s feet, we see Kim adapt and change, grappling with questions of identity and morality. The final act of the book is breath-taking in its measured intensity, a juxtaposition of the ‘Great Game’ (as the contentious struggle between the British Empire and the Russian for control of what is now the Af-Pak region was known) with spiritual quest that makes a reader laugh, and at times, brings a tear to the eye, right up to the conclusion. When the book ends, we tear ourselves away from it, as reluctantly as the lama withdraws from his meditative trance—As the egg from the fish, as the fish from the water, as the water from the cloud, as the cloud from the thick air, so put forth, so leaped out, so drew away, so fumed up the Soul of Teshoo Lama from the Great Soul. Under Kipling’s deft handling, each character comes alive, with a vibrancy that is otherwise seen only in vernacular-language Indian writing. Kim himself is a superb representation, clever and fundamentally principled without being boring or a caricature. His struggles with identity are never overbearing or overwrought, and the character development is natural and easy to identify with. There is also the Lama, benign and naïve, oblivious to caste and creed, who believes Kim to be heaven-sent, and struggles to reconcile his religion telling him that a man must have no attachments with his paternal love for his chela. But it is not just these main characters. Hari Mukherjee, another Secret Service agent, is a superb caricature of a man who on the surface appears to be a cowardly ‘Bengali babu’ but is also an astute spy, and has a bravery in him that, while not physical, is no less powerful. 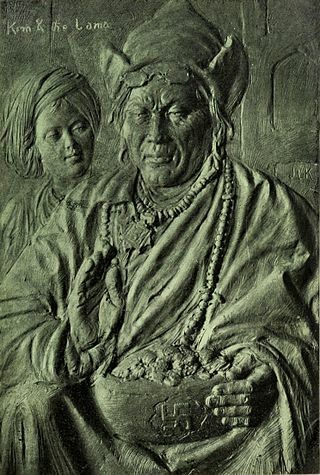 The Maharani, a rich woman from the hilly regions who ‘loves to talk’ to the point where even the lama’s patience is tested, but is nonetheless a perfect portrait of the ‘Indian grandmother’, whose love is expressed through her cooking and whose sharp tongue hides a truly affectionate personality. The Rissaldar, staunch supporter of the Raj, proud to be among the few men in his regiment who did not mutiny, and in his clinging to that past glory, both pathetic and poignant. Even those with but a few lines are perfectly brought to life. There is ‘the man from Ao-Chang’, on whose actions the final twist of the plot hinges. There is Lispeth, the Woman of Shamlegh, who “Once, long ago…was Ker-lis-ti-an and spoke English” until her white lover abandoned her. There is Colonel Creighton, who knows so much of the land and people of India and loves them so little, and Lurgan Sahib, as mysterious a hill-magician as you could hope to find in the most exotic adventure novel. More to the point, every character in his or her way shows an aspect of life in India, a place on the ‘Wheel of Life’, as the Lama terms it. At one level, Kim is a straight adventure story; a spy novel from a time before the spy novel was a genre, full of narrow escapes, coded language, disguises and shadowy plots. With his unique combination of white ethnicity and ability to slip in both Hindu and Muslim culture and appearance, Kim makes for a perfect spy, and indeed carries out his espionage work with style. But Kim’s journey through the Grand Trunk Road in the First Act, and then in the mountain-paths of the Shivaliks and Himalayas in the Third, is also some of the finest descriptive and interactive writing I have read. 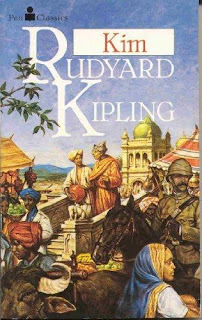 Kipling brings out the varied cultures and castes of India, the superstitions and silliness, and yet, somehow, without seeming to assume an air of superiority. For much of the novel, in fact, Kim rejects the ‘sahib’ culture that his skin colour makes him a part of, and each time he does, it comes across as an assertion of his better self. The best part of the orphan’s nature is that which is grounded in the benevolence of the lama, and even in the friendly acceptance of all cultures, and ‘Friend of all the World’ as he is known, is not just a title, but a reflection of who Kim is. And at this level, Kim becomes more than an adventure novel, it becomes a search for identity—for Kim, for Rudyard Kipling, and perhaps also, for our country as a whole. All the while we are peppered with language whose effervescence is unmatched. 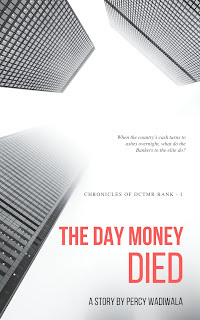 To evoke a delightful sense of earthy vernacular while writing in English, to give each character a distinct voice that is truly Indian, is a truly astounding feat of writing, and this is what puts Kim up there with other great Indian novels. A special mention for the insults—the surest measure of how well the writer understood the Indian medium of communication, which are some of the funniest writing in a book full of humour. 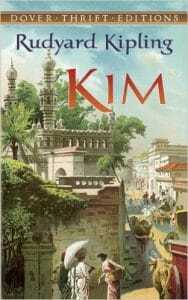 Kim is indeed more than an adventure novel, but it is more than even a philosophical one. It is an experience, yes, and it is also a book that questions many of the deepest assumptions of identity for an individual. And just as the titular Kim asks himself, “But who is Kim—Kim—Kim?” we find ourselves wondering who, indeed, concocted this fascinating tale. Rudyard Kipling, the boy who had to be reminded to speak English when company was present, the adult who wrote about India as his home, never England, or Rudyard Kipling, passionate advocate of the Raj and writer of ‘The White Man’s Burden’? Who are you, Mr Kipling? 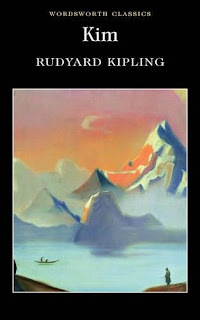 Rudyard Kipling, as we know him today, was often an apologist for the British Empire, seeking to support some of its worst excesses and seeing it as a benevolent and necessary boon to the natives who suffered under its yoke. At the same time, this Mumbai-born lad, most of whose work is set in the territories of the British Empire, from Afghanistan to Myanmar, wrote about India and its people with a deftness and understanding that few have matched ever since. He won the Nobel Prize for Literature in 1907, and at 41 years of age, remains the youngest-ever winner of that prize. As Kim draws to a close, laying bare the true nature of this novel, the reader is left with more questions than answers. What will Kim’s ultimate fate be? Will he accept his place on the Wheel or will he stay true to the Lama? 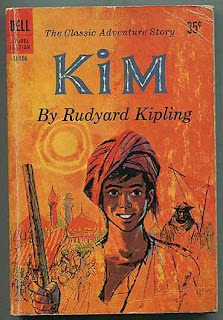 And what, we ask, did Kipling believe? Was he a racist colonialist whose literary genius covered up for his true feelings, or a man torn between head and heart, much like Kim is, yearning to follow the Lama, who rejects caste, colour and race, indeed does not even see it? Somewhere in the lines of Kim, somewhere between the wonders of Lahore museum and the teeming bazaars of Benaras, somewhere on the Grand Trunk Road and the hill-paths of Uttarakhand, somewhere between the opulence of Lucknow and tiny Shamlegh, perhaps, lies the answer, but I—I cannot see it. So I turn, rather, back to Kim and The Jungle Book, to If— and The Road to Mandalay, and leave that question unanswered, preferring to take refuge in the one thing that can be said with certainty—whoever Kipling the man was, Kipling the writer was a genius. Illustration by JL Kipling, the author's father. What a fascinating review! As for someone like me who also struggled to know who I am,this one might hold some answers.Thank you.